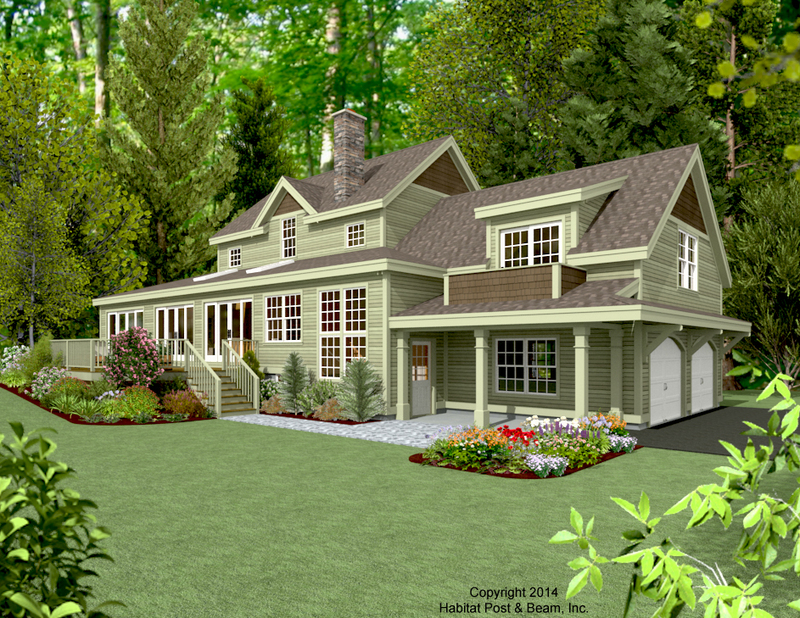 Here is a colonial-inspired home with a carriage house-style ell on one side. The main level is about 1,600 sq. 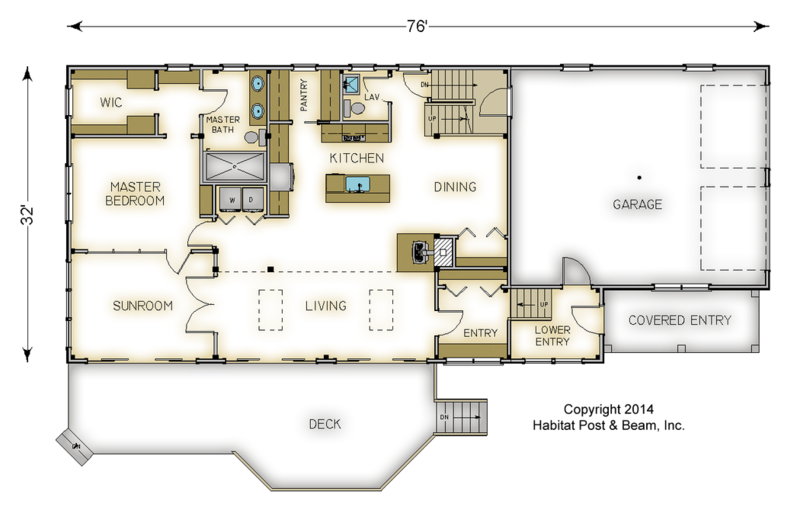 ft., with a master bedroom suite on the deck side that includes a spa sun room. 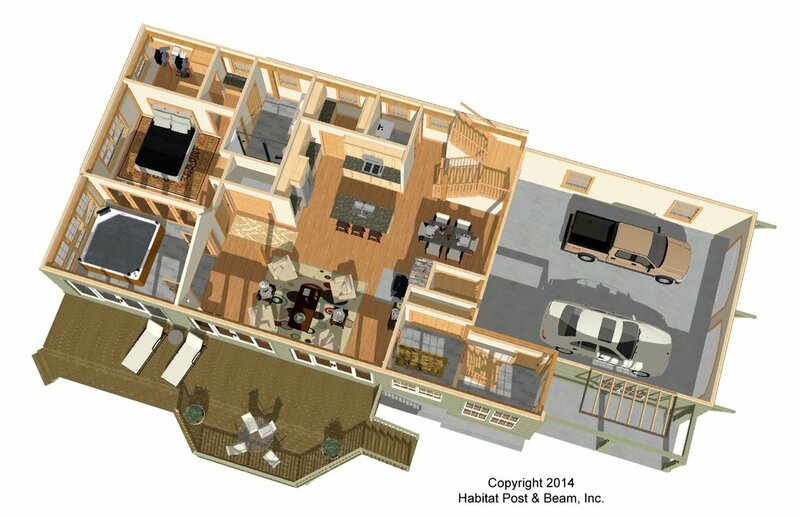 The main living section has a pantry, bathroom, kitchen, dining, and living area with an entry to the two-car garage. Upstairs an additional 715 sq. 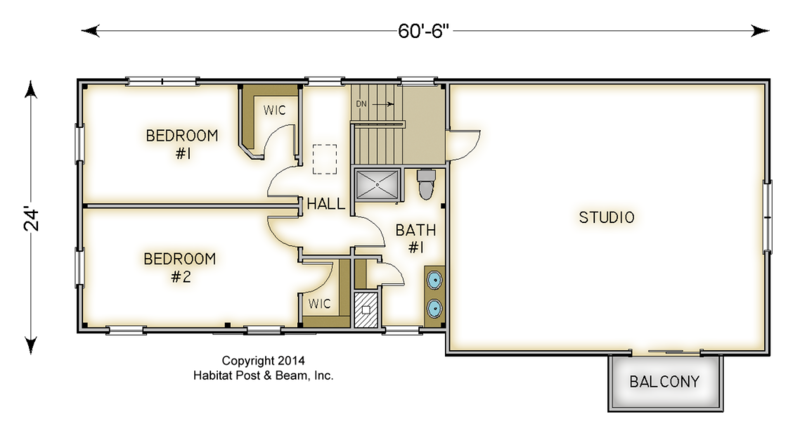 ft. is used as two bedrooms, a bath, and a hallway with pull-down attic access. Above the garage is a 670 sq. ft. studio with a private balcony. Package Price: $202,000 as specified below (from $177,500 to $223,000 depending on framing options). 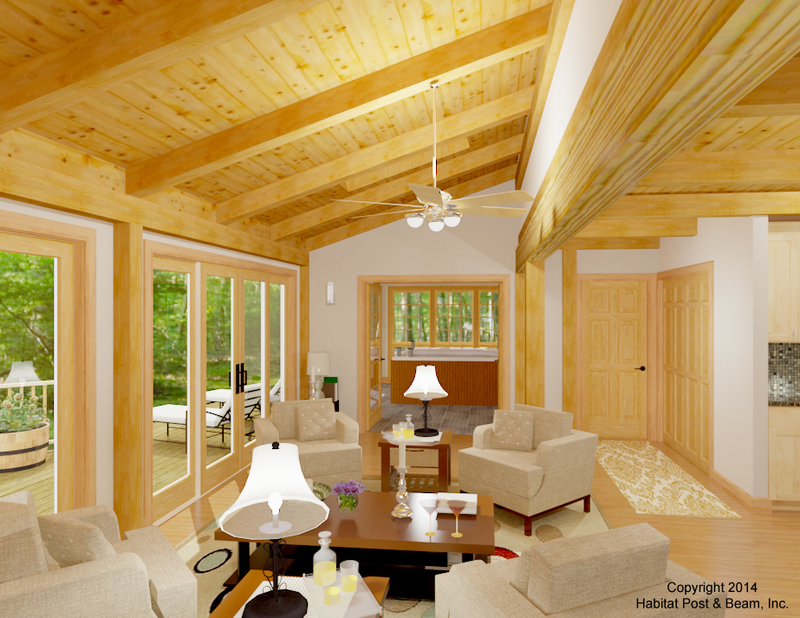 The standard price includes our Full Exposure Wall System, Plaster and Beam or Beamed Mid-Floor System (same package price), our Beamed Roof System over the sunroom, living, and entry, and our Plaster and Accent Beam Roof System over the remainder. The garage and entry porch are not included in the above pricing.